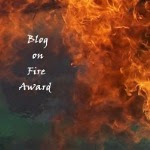 Losing Sanity: Damn You, Kate DiCamillo! Yes! I said it! You'll understand in a minute, but first let me backtrack a little bit! I'm a crier. You know, the kind that cries at coming attractions and sappy commercials. In college a group viewing of Terms of Endearment reduced me to such a quivering, sobbing mass that I overhead a male voice whisper to someone else, "Do you think she's going to be okay? Should we do something?" Nope, there was nothing to be done. I was still in the process of learning to avoid tearjerkers. I've discovered that Child #2 is cut from the same cloth. A recent viewing of E.T. reduced us both to tears. There's that scene in the middle where E.T. dies. He really dies! Child #2 looked at me, his eyes full of tears. "Mommy, you promised he wouldn't die." "I know," I sobbed. "It's not fair. E.T. can't die." We curled up in our corner of the couch sobbing while my daughter and husband looked on with bemused expressions. "They understand it's just pretend, right?" my daughter said. "I think so," said my husband. Cut to Kate DiCamillo's book, The Miraculous Journey of Edward Tulane. Even though I didn't know much about this book, I'd heard it was good and I know Ms. DiCamillo is a fabulous writer. I couldn't wait to read it to Child #2. Midway through the book, it became apparent that my husband (the noncrier) should have been reading this one. Edward the bunny has found his way into a depression era destitute family and the girl he loves dies. Let me repeat that. She dies! For real. There is no E.T. type coming back to life scenario. No softening the blow. She dies and Edward mourns her. Edward wasn't the only one to mourn. Child #2 and I were beside ourselves. I was crying so hard I could barely read the last sentences of the chapter. Poor Child #2's pillow was all wet. "It has to get better," I promised him. "Things will get better when they go to Memphis." Except they didn't. Edward is broken, and then repaired. He sits on a shelf with a broken heart only to be reclaimed by the daughter of the girl who was his first love. Which is sort of a happy ending but in the Garth household it was a tearful disaster. "My heart hurts," Child #2 told me. Child #1 came in and turned a cartwheel. "It's a happy ending," she said glancing skeptically at our swollen, tear-stained faces. So what did I learn from Edward Tulane and how can I apply it to being in the present moment? Sometimes in order to love, you have to be prepared to have your heart broken. And sometimes, if you are fully in the present moment you (meaning me) will shed a lot of tears. Don't mind me Ms. DiCamillo, I'm just the one in the corner, loving your books and sobbing! Maybe, just maybe you could put a warning on them...not for the tearfully inclined! My wife is a crier. And I can usually guess in the middle of a movie where she's going to lose it. Guess I should warn you if you ever read my book, you might need Kleenex. I am a total sap. I cry during the movie Legend when they find the unicorn dead every time. And my husband forbids me to watch Born Free as I cry through the whole movie. No, Elsa doesn't die in that story, but she dies in the next one, and just knowing that is too much. I am such a crier I think it embarrasses my husband. Commercials, movies, books, the thought of things that make me cry...yea it is bad. We went to see the final Harry Potter movie in a group of about 30 people. I am incredibly emotionally invested in the books, and I knew I was going to cry. I sat with two of my closest girlfriends, and we sobbed so hard and so loud that there were people from other groups concerned for us. I missed part of the movie after Snape dies because I was too much of a mess and I am afraid to rewatch it because I know I will just sob all over again. Nothing wrong with crying, quite healthy really! 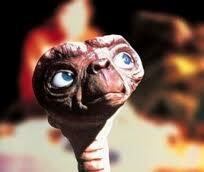 I cry at TV adverts... And I loved ET! I love the idea of a 'not for the tearfully inclined' warning, that would save me alot of heartache too. oh boy, I'm a crier too...lol. Nothing beats the cryfest that occurs when I watch Steel Magnolias. I've seen it dozens of times and yet I still start crying like a baby during that funeral scene. It's all Sally Fields' fault. Even talking about that movie has made me cry. 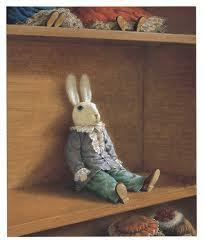 Awwww...about The Miraculous Journey of Edward Tulane. It sounds sad and sweet. After reading all these lovely comments, I'm happy to know I'm part of a much larger group of criers and soggy tissue users! !